Engineering colleges in gulf countries - padhaee "
Engineering colleges in gulf countries – The gulf and middle eastern countries are a great place to start a career and education in the engineering profession.It is a hub of industrial activity with the largest concentration of oil drilling and excavation in the world.People from all over the world come here to earn a good income after doing engineering in fields related to Petrochemical ,Mechanical ,Civil and production engineering. 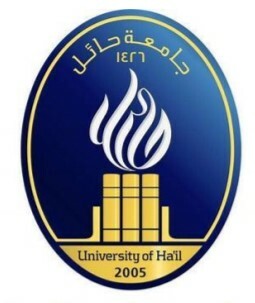 Why so many American Universities in Gulf countries? America since the last 50 years has been a strong ally of most Gulf countries so that it can have easier access to the oil fields.The largest distributor of oil and gas in the world is situated in Saudi Arabia and is called ARAMCO or short for Arabic American Oil company has thousands of foreign workers in a mini city especially created in the Kingdom of Saudi Arabia. 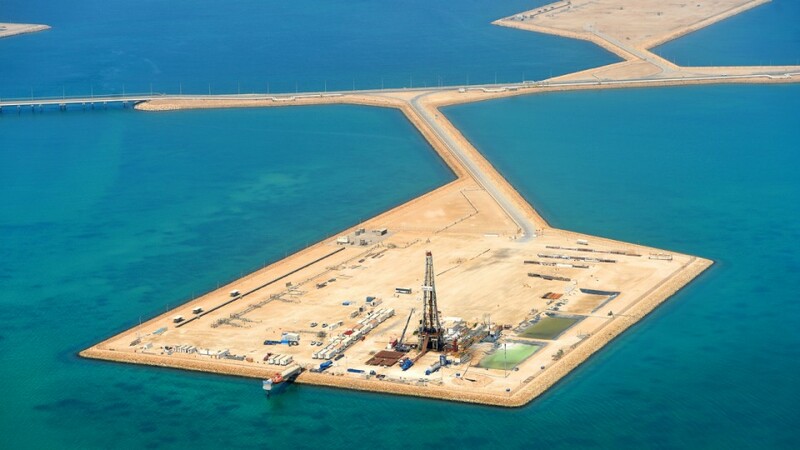 How much does an engineering course in Gulf countries cost? 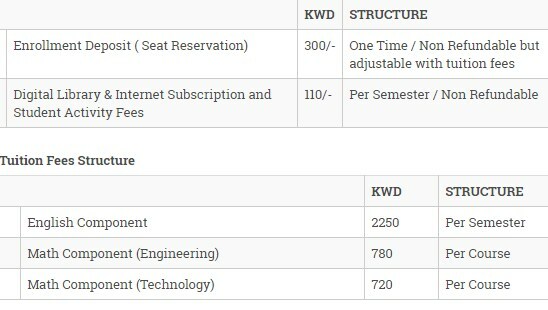 For Indian students wanting to study in Gulf countries it can be extremely expensive,sometimes even more than American Universities.The average tuition fees per semester for undergraduate engineering courses can be anywhere from 6 lacs to 9 lacs,or about USD $ 13,000., and for master courses it can increase to 10-14 lacs per semester. Assuming there are two semesters per year,it will cost close to 16 lacs a year. This does not include accommodation,library,exam fees etc.Those are sperate. It is a big investment,but the returns after getting a job in Saudi is well worth it.Engineers recruited into oil refineries,industrial plants and real estate development earn substantially high salaries and get benefits of lodging,healthcare and bonuses. 1.Most of the tuition fees are high as you have read above.But there are many scholarship programs and financial aid options for students based on merit.These can be applied for at the university website and all universities provide this service. 2.Due to the Gulf countries being bound by Islamic code of conduct, many universities have separate courses and campuses for male and female students. 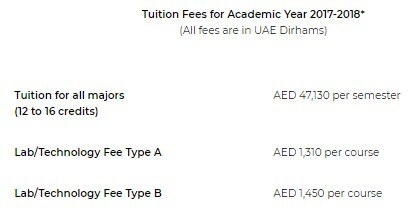 3.Tuition fees is shown below for each and every college and is calculated in most cases on a per credit hours basis.Some are listed as semester wise tuition fee. 4.Be sure to check whether the course is actually an engineering course and not just a science degree.Different colleges have often confusing names for courses and as in India and Internationally engineering degrees go by the name of B.E or B.S degrees, but in Gulf countries they are all Bachelors of Scince or B.Sc. Also many architecture courses and interior design courses are also classified as engineering degrees and are available in all engineering colleges /universities. 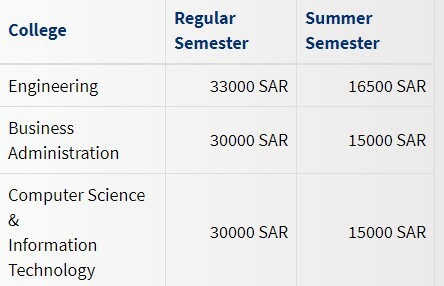 The new admissions start in the month of April with the first semester from August to October.This is followed by mid term exams and the final exams in the month of December.The second semester is after the winter holidays.Second semester has mid terms in March and final exam in May.This is the schedule of the college. Ajman Uiversity in UAE, United Arab Emirates is one of the best institutions in the Emairates that offers engineering degrees in B.SC in a variety of branches. 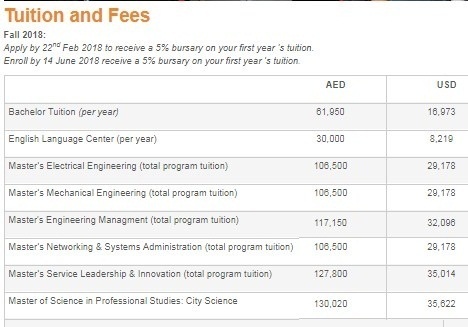 RIT Dubai is in UAE – Rochester institute of Technology is almost 200 year old institution from Rochester ,New York,USA and has its branch here in the Dubai silicon Technology park.Here the courses offered in engineering are both in Bachelors and Masters.The good thing is that the degrees offered here are valid in USA also which is a big advantage if you want to get a job there. Certain courses can also be taken at the New york campus of RIT as well.Not only is the campus international,but also are the professors,many are American here. 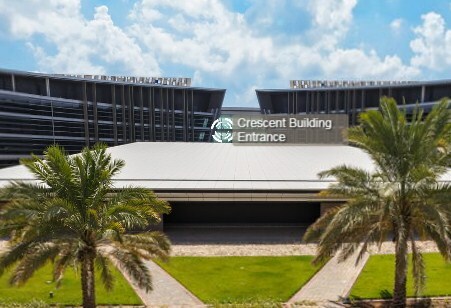 It is situated in Thuwal which is in Saudi Arabia.The CEMSE – Computer, Electrical and Mathematical Science and Engineering Division is the department that takes care of all the engieering faculty and studies. 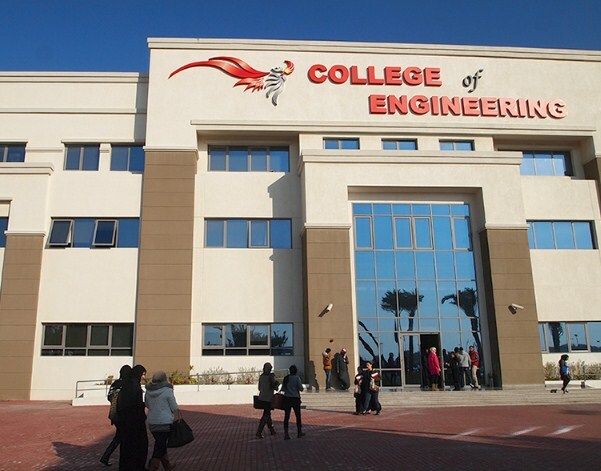 College of Engineering of PMU is in the Eastern Province of Al Khobar in Saudi Arabia.The males and females are separated into different campuses and also the engineering courses offered to both are different. 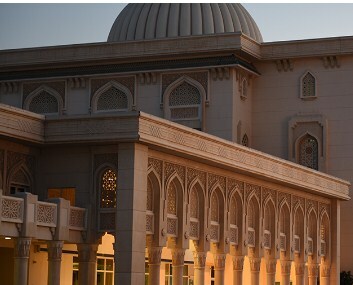 University of Taif is in Al Hawiyah in the district of Taif of saudi Arabia. 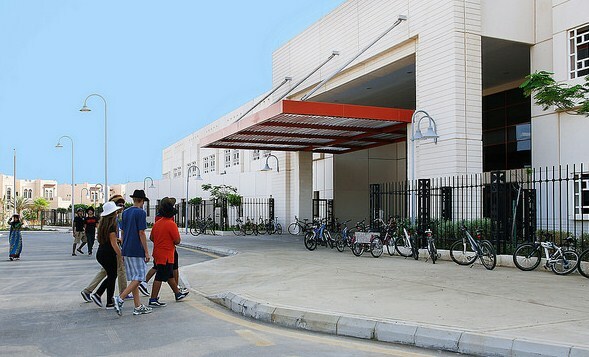 Electrical and Computer Engineering- Another American Unbiversity which is headquartered in Texas,USA and its branch in Doha capital city of Qatar.You can expect the same level of education as in its American Campus with many faculty members being American. One of the best engineering colleges in the world that concentrates on oil rigging,exploration and refining engineering disciplines. 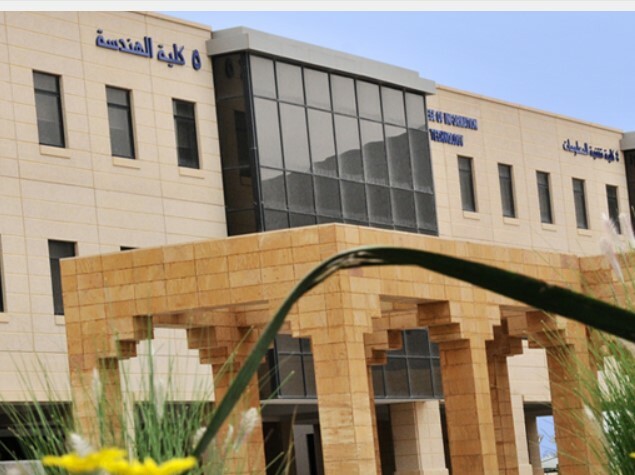 It is Omans engineering institute that is situated in the city of Oman.It has a total of 5 science degrees and two of them are purely engineering based,other are safety courses. It is affiliated to UCLan UK,and the out of the four years of education,the final year engineering can be studied in the partner college of UCLan. Pass (Grade C) in Grade 12 exam (Thanawiya amma) with Pure or Applied Mathematics or equivalent qualification as per Oman Qualification Framework. Candidates should also successfully pass the ICEM entry test / ICEM General Foundation Programme. Fire Safety Engineering is for students who wish to be involved in the design of fire safety . It is a field which explores the various possibilities of preventing fires. Fire safety engineering is the science of designing buildings and facilities safety prevention in the event of a fire. This course can be studied full-time or part-time. Part-time study options are available subject to sufficient demand. This course is professional with strong theoretical and practical skills included. Graduates are well equipped for an excellent career in the energy and engineering industry. The course includes an optional industrial placement opportunity. 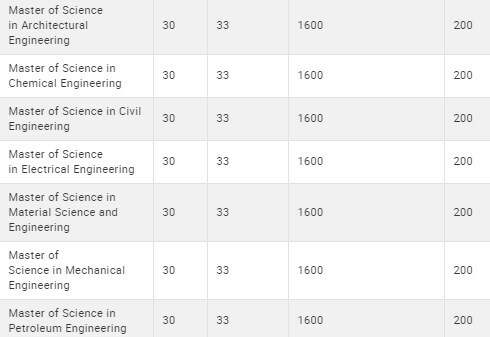 This Honours degree course in Mechanical Engineering (Well Engineering) is operated jointly by the University of Central Lancashire (UCLan) and the International College of Engineering & Management (ICEM).